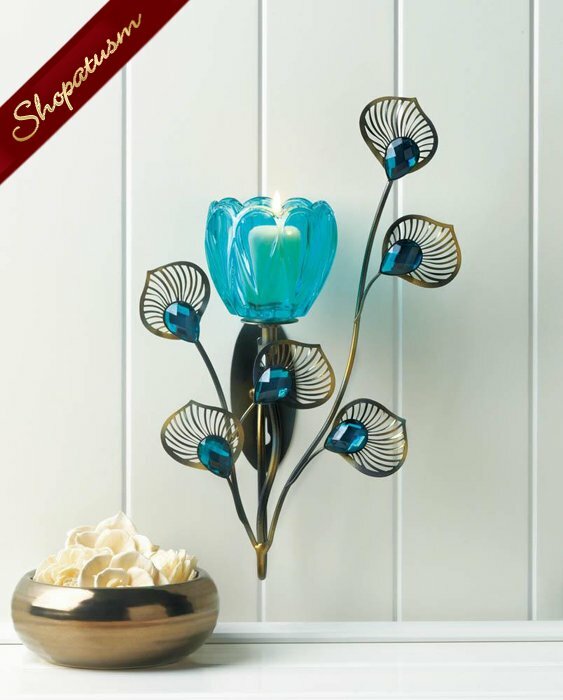 Shimmering turquoise jewels and a blossom glowing with candlelight is the most stylish way to light up your living space. This wall sconce features golden metal plumes, faceted jewels, and a turquoise flower cup that's ready for the candle of your choice. Hang it on the wall in your entry, hall, or dining room! Iron, Glass and Plastic. Measurements: 6.75" x 2.75" x 10.8" High. Weight: 0.4 pounds.